The first financial step that most people take is to open a savings account. A savings account should be the basic foundation of a person's financial structure and it is an important resource for many reasons. There are actually many types of accounts where you can hold your savings. It may be helpful to utilize more than one account to achieve different goals. The use of checking accounts and savings accounts are both important components to every person's financial picture. It is helpful to know the distinctions and purposes of each as the starting point. A checking account is not for savings. The amount that you keep in a checking account should allow you to pay your bills and expenses each month. Checking accounts offer little to no interest as a reward but they do offer maximum access or liquidity for your money. Typically, withdrawals from a checking account are not restricted and can be done via a debit card, checks or ATMs. Savings accounts are usually held at banks or credit unions and are not subject to market risk. The bank pays a guaranteed interest rate and the account has FDIC insurance. Savings accounts should have less frequent withdrawals than checking accounts. The savings balance earns a low interest rate (currently less than 1%), but there may also be restrictions on the frequency of withdrawals and the minimum balance that is maintained. To compare current interest rates on available savings accounts in real-time, see Bank Rate.com. 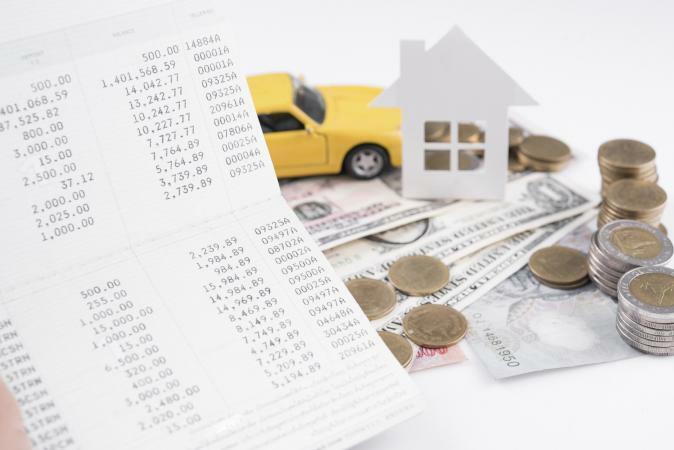 Savings accounts should be used for unexpected events or financial emergencies such as replacing an appliance or buying new tires for the car. They are also appropriate for short term goals, such as an annual vacation or accumulating a down payment for a new house. Most financial advisors recommend holding enough in a savings account that could support your needs for at least six to nine months. If there is a job interruption or illness, you may need to live off your savings until you get back on your feet. There are several additional safe options for savings that you may want to consider. If you want to earn a little more interest on your money, a money market account may be a viable option. As offered by banks, these accounts are also backed by the FDIC, so there is no risk to your balance. Certain requirements, such as minimum deposit amounts and transaction restrictions, may apply. Money market accounts may require a higher initial amount to open than savings accounts. Be sure to check for any fees that apply. Money market accounts are ideal for short-term goals of up to five years. Certificates of deposit (CDs) are debt instruments available at banks and credit unions that have a maturity date of three months to five years. Interest rates on CDs are typically higher than money market accounts. As of 2016, BankRate.com indicates that the interest rate on a one-year CD is typically around 1.29%, though it can vary by financial institution. The important restriction of CDs is that you keep your money on deposit for a specified time. You will incur a penalty if you withdraw before the maturity date. The interest rates on CDs are usually higher for longer holding periods and higher balances. Consider the strategy of having staggered CD maturity dates to keep some flexible access to your money. CDs are useful if you have specific time goals you are saving for such as a vacation or the down payment on a house. Treasury bills and notes are debt instruments are issued by the U.S. government. They are a safe investment because, as pointed out on Fidelity.com, they are "backed by the full faith and credit of the U.S. government." Treasury bills mature in less than a year, while maturity for treasury notes is between two and ten years. Treasuries earn a fixed-rate of interest and are available for a minimum purchase of $100. The longer the maturity, the higher the interest rate. You can view current rates and purchase treasuries directly from the government on TreasuryDirect.gov without any commission fees. There is a tax advantage to this option, as treasuries are exempt from state and local taxes. This type of investment should be considered for short-term goals that match the maturity length of the treasury purchased. Retirement accounts are long-term holdings that should be not used as a savings account or an emergency resource. Retirement assets are usually invested in stocks or mutual funds that are not guaranteed and will fluctuate in value. Additionally, withdrawals from retirement accounts may incur penalties and tax consequences depending on the age of the account holder and the reason for the withdrawal. It is important to accumulate a dedicated savings balance that covers your needs without disturbing retirement accounts. Most investments such as stock, bonds and mutual funds have a component of risk and are impacted by the fluctuations in the stock or bond market. It is not appropriate to put this type of risk on your savings. Investments are best suited for long-term goals, typically over ten years. Savings accounts are a vital part of any financial structure. Take the time to explore the best saving strategy for your needs and your time horizon. Consider your savings as your personal safety net. 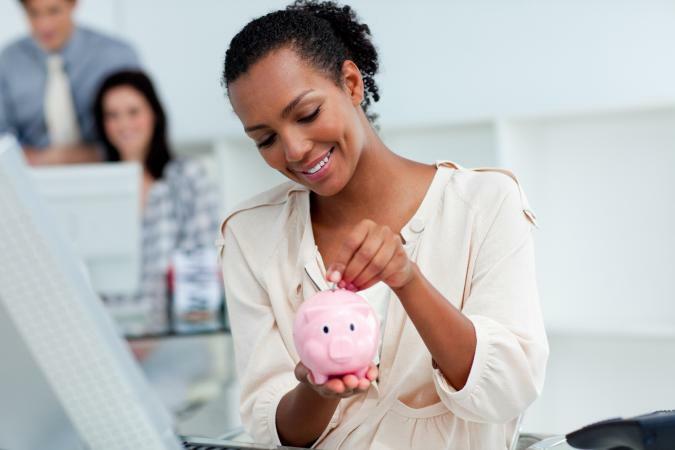 Savings accounts should also be a solid resource for planning any future goals.